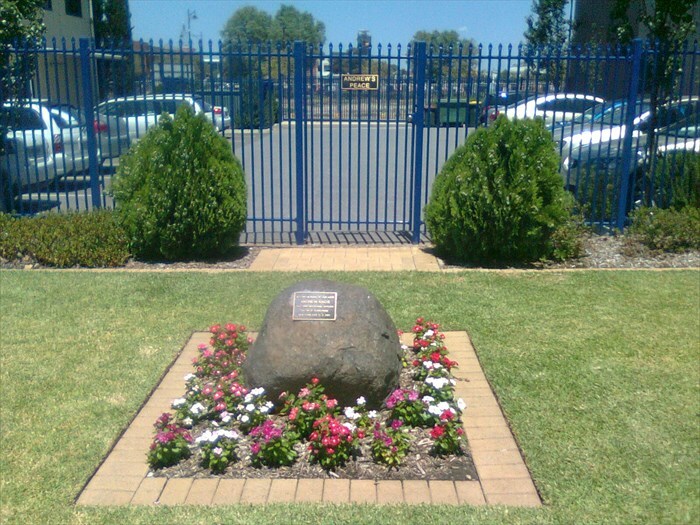 Description: Memorial garden outside Australian Workers Union building at Mawson Lakes honors former industrial officer Andrew Knox. NEW YORK CITY 11. 9. 2001"